I am extremely excited to share some new products from Punky Sprouts. 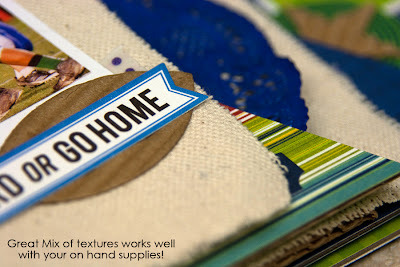 I had the opportunity to try several different products and how they can be adapted and used for altered projects, pages, cards and more. You can see many of the Punky Sprouts products and some great project ideas from their Design Team on their blog. 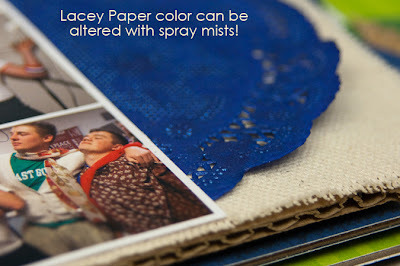 Today I am going to show you how I used a Punky Sprouts Mixed Media Mini Album along with their Lacey Paper, Parchment Pack, Denim Fiber Pack, Lil' Seeds Buttons. 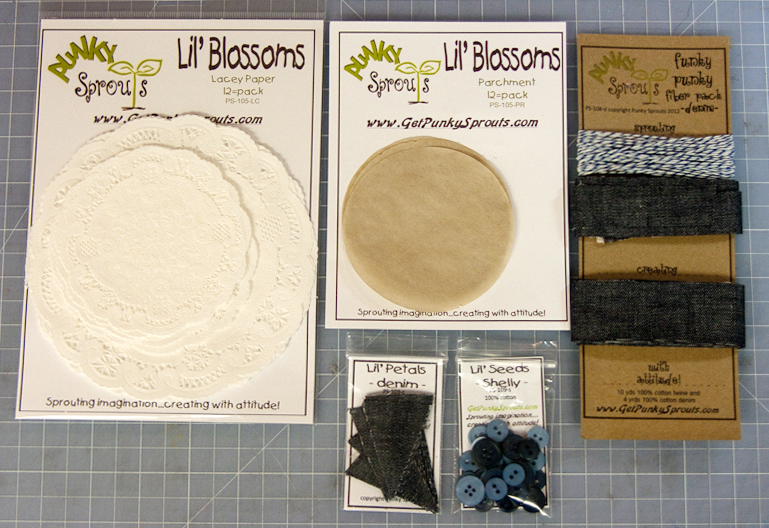 I also got this adorable little packet of Lil' Petals Denim Banner pieces. I didn't have a use for them in the projects I created for today's post but I can tell you that these little cuties won't be in their package for long! I am already planning a page around them in my mind. Let’s jump right in to see how these amazing products can be used! 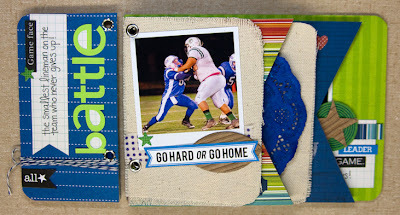 The book holes were not pre-punched – I like placing them where I see fit! 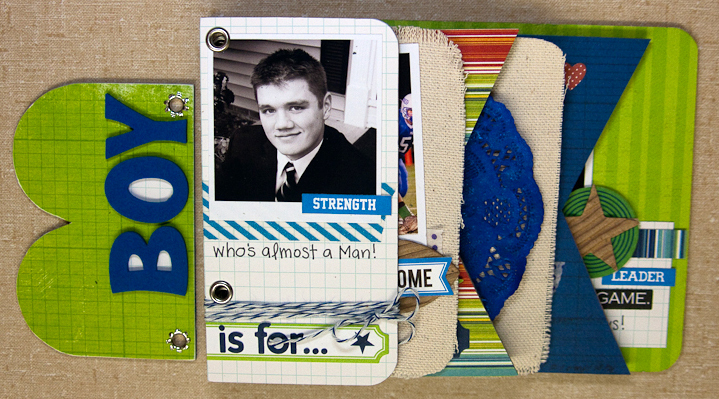 Great mix of textured materials and sizes. All the products mixed well with supplies I already had on hand. Products could be altered in color and size to fit my needs. Hmm…I pretty much loved it all…J Although, I used up my entire pack of parchment pieces pretty quickly from layering so many Diecuts. They should probably offer a jumbo pack for those who fall in love with their parchment...and you will! 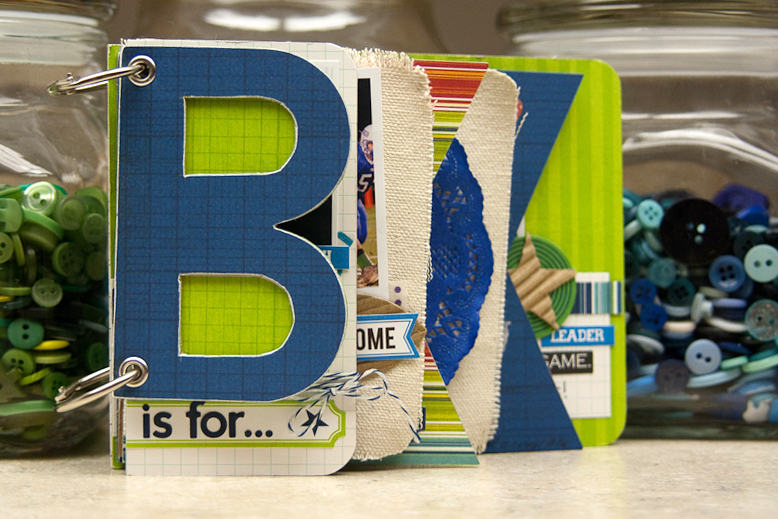 As soon as I saw the cool scalloped front cover of the Mixed Media Mini Album, I knew I wanted to make a “B” book for my son! I hand cut the openings on the cover to create the letter. I also cut a couple of the pages down to fit the size of photos I wanted to use. The chipboard, canvas, and corrugated cardboard were sturdy, yet easy enough to cut into the shapes I desired. I was able to add my own holes for the included rings with my Crop-a-dile. I really liked that this book could be transformed into so many different things. It would also make a great base for a Wall Banner. 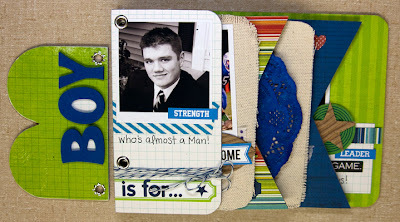 I saved the Manilla Tag included with the album for a different project. 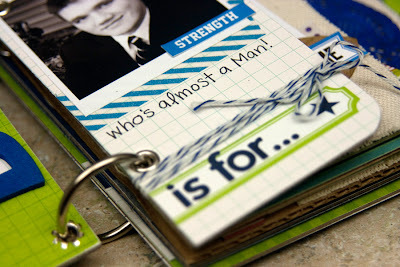 This album contained a lot of pieces and after cutting to suit my needs, I had plenty of pieces to create a very thick mini album. To make it easier to photograph, I did take the rings out. Tip: The canvas page can fray like any fabric material will, add eyelets to the holes to reinforce. The basic materials mixed well with my on hand supplies. In fact, all of the papers added to this album were from my scraps stash making the album very economical! Leaving parts of the bare album pages makes your color pattern papers POP! I wanted to play with the Parchment circles to see what could be done with this unique material. The package contains several circle sizes that could easily be made into layered pieces. I chose to diecut my parchment into layered flowers. The parchment easily cuts with a steel die. Because the material is so thin, you may need to add a shim to your diecut stack. Using a scrap circle of chipboard for the base, I adhered the many flowers layers together and added buttons to the top to create a center. “Ruffling” the petals up gave the flower a soft and dimensional feel without adding too much bulk to my card. 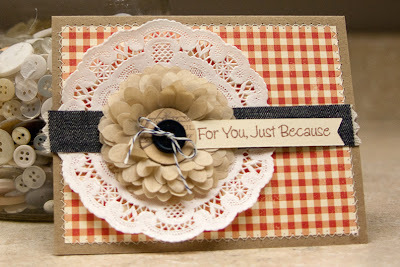 I also really liked the antique feel the parchment gave to my card. 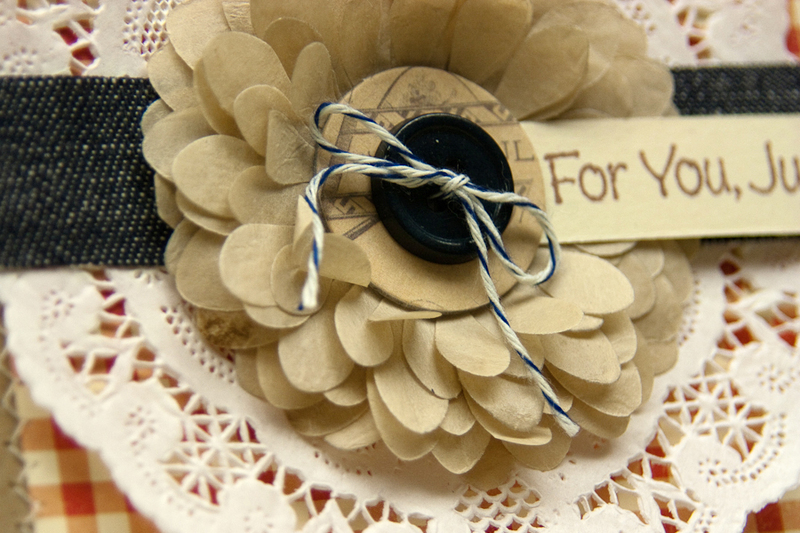 I tied bakers twine from the fiber pack to finish the center of my button. 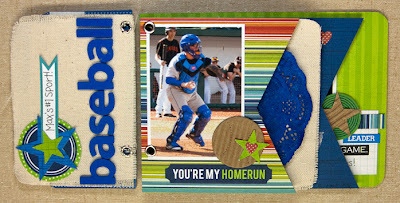 The denim fabric included in the fiber pack became a quick accent for the middle of the card. Instead of securing the ends inside the card, I trimmed the ends with fabric pinking shears and frayed the ends to give a more rustic feel. I will definitely be using this trim for some future scrapbook pages. 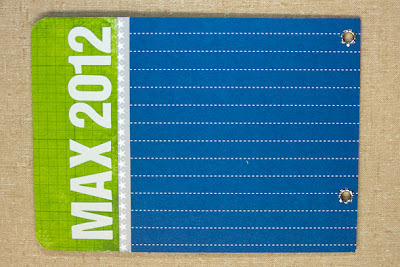 I love the look of denim and the weight of this material will be perfect for pages. 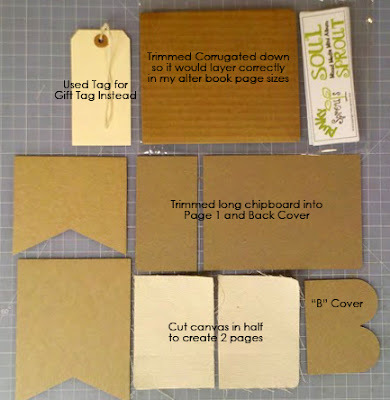 I had one more idea to try with the Punky Sprouts Parchment Pack. I diecut a few more layers of flowers and lightly misted with Spray Mist. I was afraid that the mist would be too much for the delicate material...but luckily I was wrong! The parchment took the mist quite well and held up to the moisture. 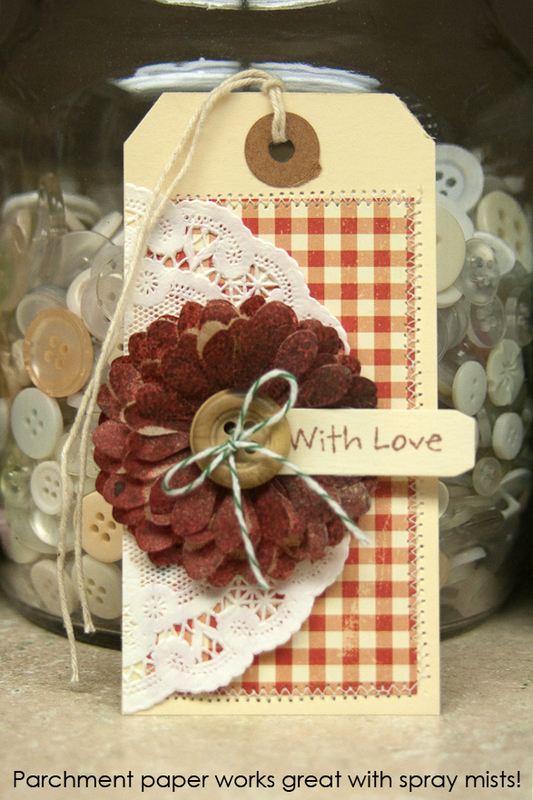 I recycled the Tag from the Mixed Media album so nothing went to waste! What do YOU think? Have you tried Punk Sprouts? How have you used their products in ways that I haven’t thought of? I am sure the ideas are endless! Please share your ideas! Leave a comment by midnight EST on Thursday to be entered to win a Punky Sprouts prize pack! U.S. Residents Only. I have only recently heard of Punky Sprouts and haven't tried any of their products yet, but I really like the mix of materials in their minis and how versatile these products are. Great work BTW! Punky Sprouts is new to me, but I love it when new companies come onto the market. Thanks for sharing your creations and this wonderful new company. Your projects are SO pretty! I love how you've used their products. I've only used one of their minis, but I loved it! these look like so much fun to use! Wow, awesome job, Laina! I really like how you did the flower on your card. Punky Sprouts is new to me. Love their products and how you made the mini album! What a fab mini! I have not tried these gorgeous produts yet, but after seeing your project I'm certain that I need some Punky Sprouts! Thank you for the great review! WOW -- love these!! !I really want to try Punky Sprouts. Wonderful inspiration!! I've never used the supplies before, and just heard of them about a week ago so I don't have any hands on experience with their products. But the album looks great! I like that you can put the holes anywhere, and can put different shapes together. The denim banner pieces look like they would be cute, and the tissue paper that looks like sewing pattern paper. The album looks like it would be my favorite item because I like not only the color, but the type of product it looks like it's made from. If the price is right, I'd like to get some to try them out. I'll be looking for them at the Scrapbooking shows. I love the mini....but my favorite are those flowers....I need some of this stuff to make those! Super cool! I love those denim banners too by the way :) All of this looks like so much fun to use. The parchment paper is something I've never seen. Great job. Super cute work Laina~ I especially love the flowers, so so so cute! PS, I'm on the Punky DT so count me OUT of the drawing. You have really inspired me.I have a Punky Sprouts album but I've been intimidated by it-time for me to dig it out and give it a try. Love your "B is for" album. I may have to create an album for my 2 boys! Thanks for the inspiration. Thank you so much for the Punky Sprouts love! You did a beautiful job! Gorgeous work, Laina!!! I'm on the DT too so please don't enter me in the giveaway. Good luck to those who did enter! 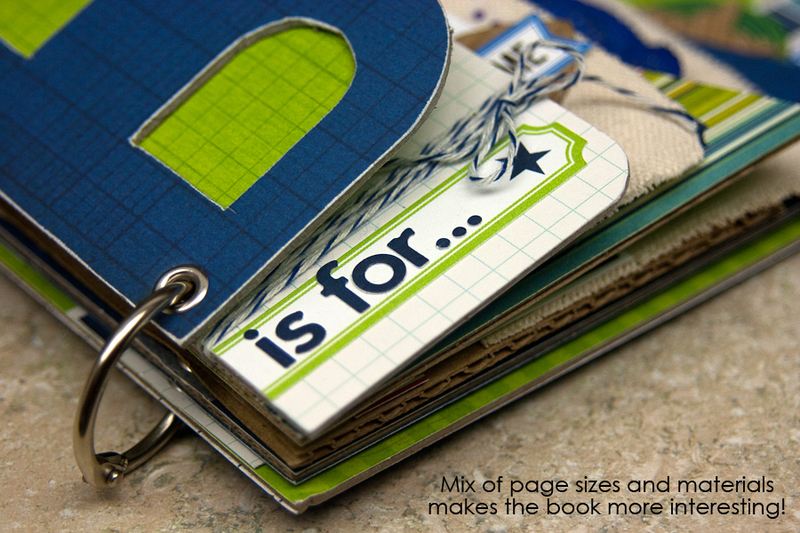 I really like the variety of projects you made with your Punky Sprouts products. I haven't heard of them before and like that you've exposed me to a new company that could take my crafting to new heights. Thanks for the chance to win! Laina, your projects are as awesome as ever :) Love how you used the Punky supplies! Thanks for the review! Thats the Best! 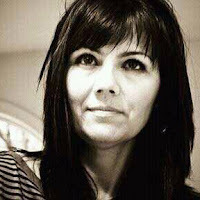 I have used punky before I love the products!